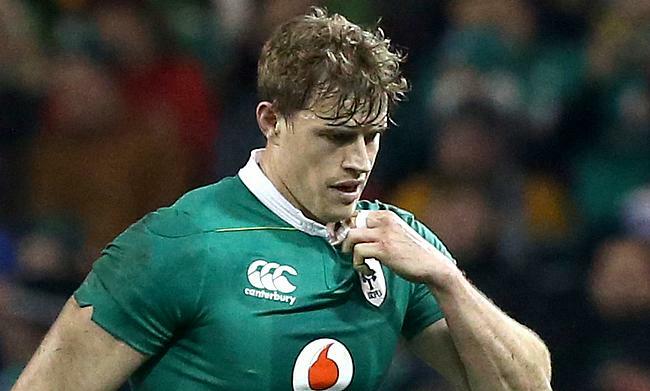 Ulster wing Andrew Trimble will miss the remainder of Ireland's Six Nations tournament with a hand injury. The 32-year-old sustained the blow during the 50th minute of Ireland's previous encounter against France which his team went on to win 19-9. Trimble's Ulster team-mate Tommy Bowe has been named as the replacement. The news was confirmed by a statement released by Irish Rugby Football Union (IRFU). "Andrew Trimble sustained a hand injury against Treviso at the Kingspan Stadium on Friday night and has been ruled out of the final two rounds of the RBS 6 Nations Championship," read the statement. Meanwhile, Connacht lock Ultan Dillane will miss at least two months of action after undergoing a shoulder surgery but fullback Rob Kearney's possible return from hip injury will provide relief to head coach Joe Schmidt. "Ultan Dillane will undergo surgery this week for an ongoing shoulder issue," the IRFU statement continued. "He will be ruled out of action for eight to 10 weeks. "Rob Kearney is progressing well through his rehab of a groin injury and is expected to train fully on Monday. "Ulster's Tommy Bowe has been added to the squad."